TOP REAL ESTATE LAW FIRM is seeking a full-time Client Intake Specialist to join the M&G Team. This is an exciting opportunity to join a fast-growing law firm. In this phone-based role, you will be the first point of contact with potential clients of the firm and will be responsible for gathering the required information to schedule initial consultations, perform conflict of interest searches and answering any questions they may have about the firm. You will be a key player in making sure a potential client has an exceptional first impression and experience with M&G. We offer a competitive salary and benefits package and fun team-oriented working environment. ABOUT US: With more than 20+years of combined experience as private practice and in-house attorneys, we have determined that there is a better way to deliver legal services, which is why we decided to create a different kind of law firm. MacQueen & Gottlieb (M&G) focuses on assisting clients with significant real estate issues and disputes, as well as real estate transactional matters. We are uniquely qualified, leading attorneys in the community, client driven, and we are innovative. 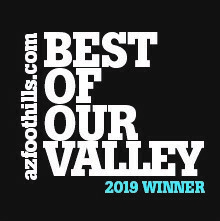 M&G was awarded #3 Best Real Estate Law Firm in Arizona by Ranking Arizona in 2018 and both partners have been recognized as Super Lawyers for consecutive years. Curious about more..check out MacQueen & Gottlieb at www.mandglawgroup.com. We look forward to hearing from you!